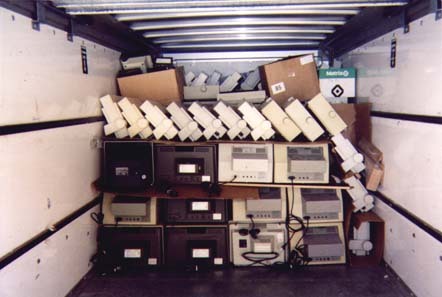 Question: how do you load a hundred computers, plus printers, monitors and other gizmos, on a truck. Answer: very carefully. 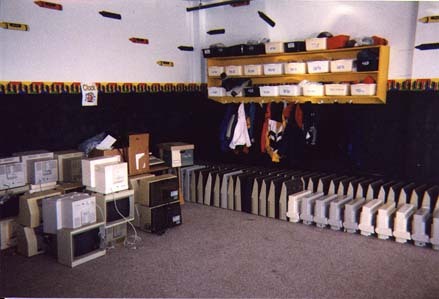 By the time the truck was filled, it contained over a half million dollars of computer equipment, based on original purchase price. 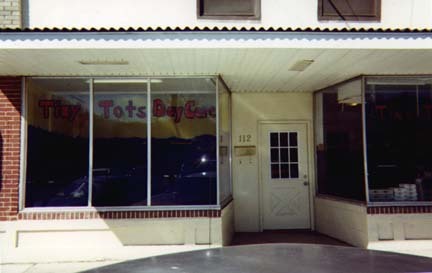 The Tiny Tots Day Care Center was the staging point for computer distribution. You can just make out the name in the window on the left. Our fearless leader, Washington Apple Pi President Lorin Evans, accidentally captures himself on film, reflected off the glass. 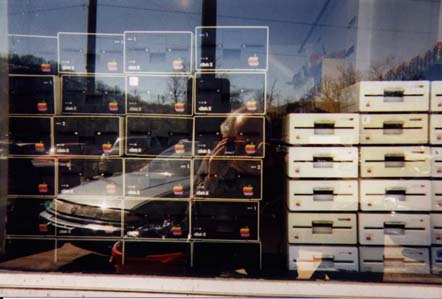 For those not familiar with obsolete computer technology, the boxes on the other side of the glass are two different types of floppy disk drives (still included as standard equipment on some Windows PCs). 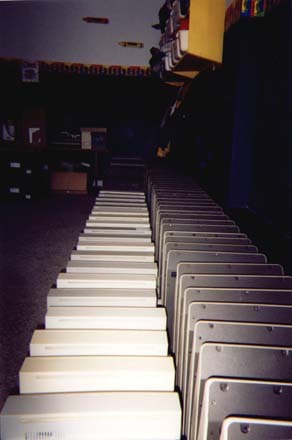 ImageWriter II printers to the left, Apple II computers to the right, marching off into the distance. 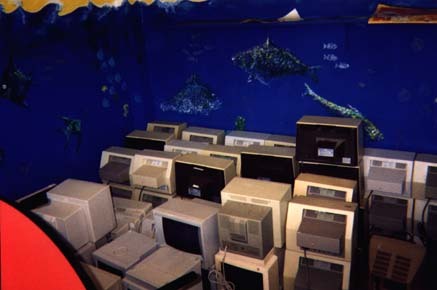 Tucked into a side room, the monitors have a good view of West Virginia sealife. 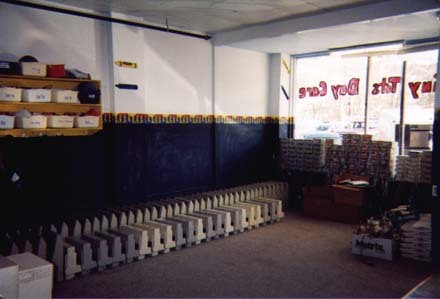 In the corner, clothing tubs from the day care and pictures on the wall add an interesting contrast to the assembled equipment. 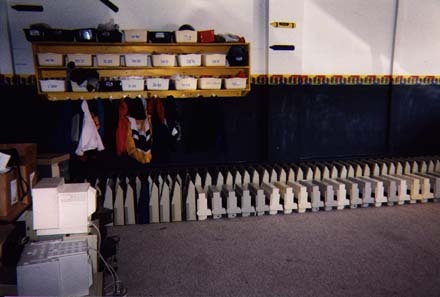 Like dragon's teeth, the ordered rows of compters and printers are ranked across the floor. The stacked disk drives in the window fail to blot out the tenant's name painted on the glass. It was fun watching passersby try to figure out what was going on inside. 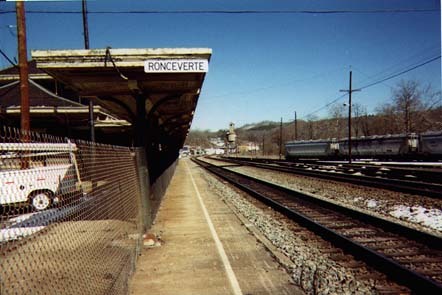 Roncevert's train platform has a certain timeless quality to it, much like an Apple II.